Have you heard? Tropical Storm Arthur is threatening to wash out a number of Independence Day celebrations on the east coast, including New England. Down side: We'll move the cookout indoors. Plus Side: We won't worry about mosquitoes! It takes more than rain to dampen New Englanders' spirits - or their patriotic style. 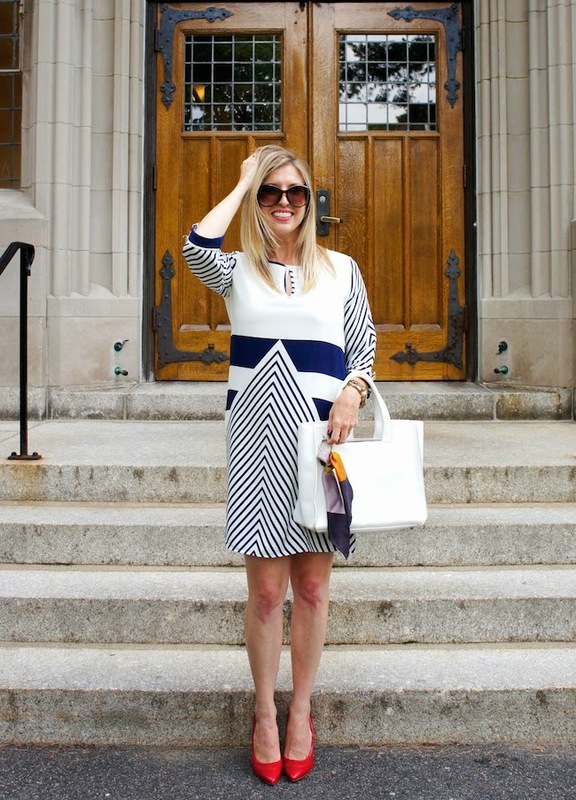 I am loving this nautical navy dress for any Independence Day party - whether it's a casual backyard cookout (pair with strappy, gladiator sandals) or a cocktails on a roof deck (try it with lipstick red pumps). Mt. TBF and I will be celebrating with bowls full of sour cherries from our back yard. I'm not sure what to do with them - anyone have a favorite sour cherry recipe? Digging the dress!! Happy 4th! Perfect patriotic outfit! I don't have a specific sour cherry pie recipe, but I would just add a smidge more sugar to a regular cherry pie recipe! 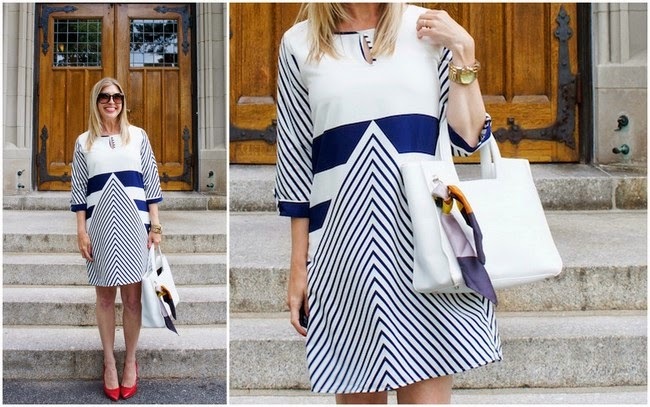 Beautiful dress and bag! That's a perfect look for the festivities. I am a dress lover and I'd instantly wear this outfit. Hope you are having a fantastic holiday despite the weather warning! Thanks, Annette! 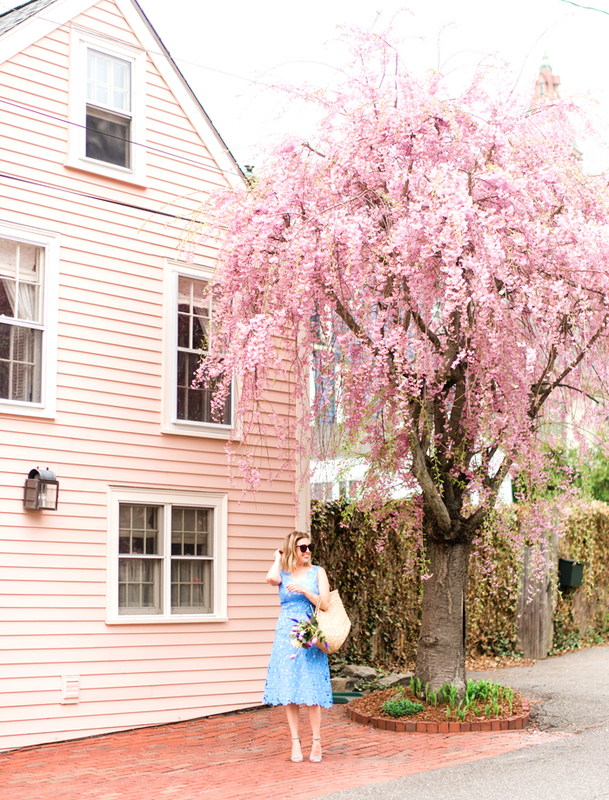 I, too, am a dress lover - great minds think alike? Tschuss! Love the dress, so fun!